In just one week, they went above and beyond the call of duty, helping three unfortunate residents retrieve their belongings - including an iPad. Staff returned a purse to a woman who had accidentally dropped it into a paper recycling bank at a Whitehaven supermarket. Copeland's waste supervisors Michael Murray and Geoff Eilbeck met the woman on site within ten minutes, opened the back door of the bank and managed to retrieve the purse. One crew - Dave Gibbon, Paul Hurley and Fred Maver - discovered a purse at Moresby Parks during their round and were able to return it promptly to the address on the driving licence inside. And just a day later the council received a frantic call from Steven Atkinson, whose iPad had inadvertently been put among the papers in his black recycling box. The box had already been tipped into the truck and taken to the Distington transfer station so the crew, along with transfer station staff, sorted through 1.5 tonnes of papers to find it. The search was taken on by Glen Stewart, John Agnew and Adam Meek. Mr Steven Atkinson said he was extremely grateful to the officers, adding: "To my horror my elderly mother had recycled my Apple iPad along with the newspapers. However after a quick call to the refuse department at Copeland, the recycle team checked the skips and found it. What a great service from refuse." 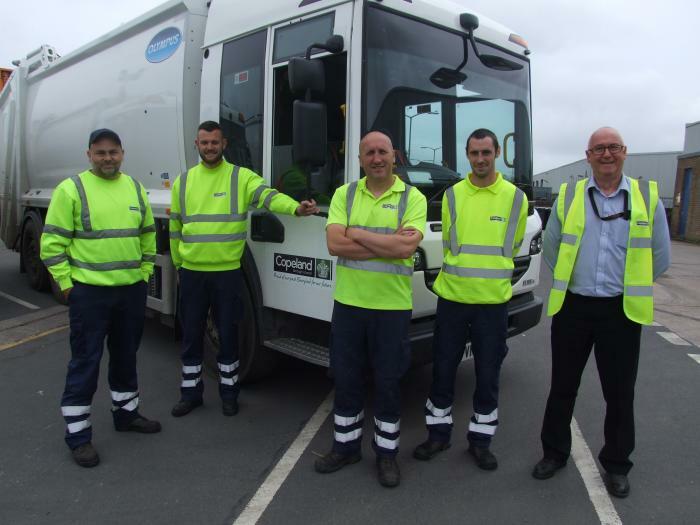 Copeland's portfolio holder for Customers and Communities, Coun Mark Holliday, said: "All the residents involved were extremely grateful and it’s a great reminder of the community role our waste teams sometimes play, often going the extra mile for our residents. The council asks people, if they drop something valuable into a recycling bank, not to try to open the bank or retrieve it themselves. Call them on 01946 598300 and while they can't promise to find the item staff will certainly be happy to help.